I own a 1994 Feathered Friends Tern - dryloft/polyester shell, long, 775 fill, +2 oz overfill. Just a quick comment in response to the above review wherein the fit of the Tern was described as snug. I have one of the initial run of Terns that was made with dryloft fabric. I have used it for 12 years in all sorts of conditions including a five-day trip on Mt. Rainer (including a climb to the summit) and another on Mt. Washington (in winter). I have a 44 chest and have always felt that my Tern's fit was perfectly comfortable even when snuggling a couple of hot waterbottles and drying clothes to my fleese clad chest. Also, as far as the zipper goes, I have NEVER in 34 years of backpacking met a truly snag free zipper on a sleeping bag. 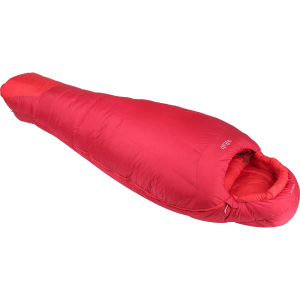 The zipper on my Tern is no more or less troublesome than that on any other sleeping bag I have ever owned or borrowed. I recently thought about upgrading to a new, lighter, -10 degree bag but realized after some research and weighing with a digital scale that my 12-year-old bag is only a bit (4-6 oz) heavier than the current Feathered Friends equivalent. People complain about the cost of FF bags, but after 12 years of use I think my annual additional cost amounts to about $8 a year - and the bag is still in PERFECT condition even after some hard-core use. The Tern was my first FF bag. I have bought others since then for myself (an absolutely beautiful Swallow with 2 oz extra fill and the 800+ down) and my family. 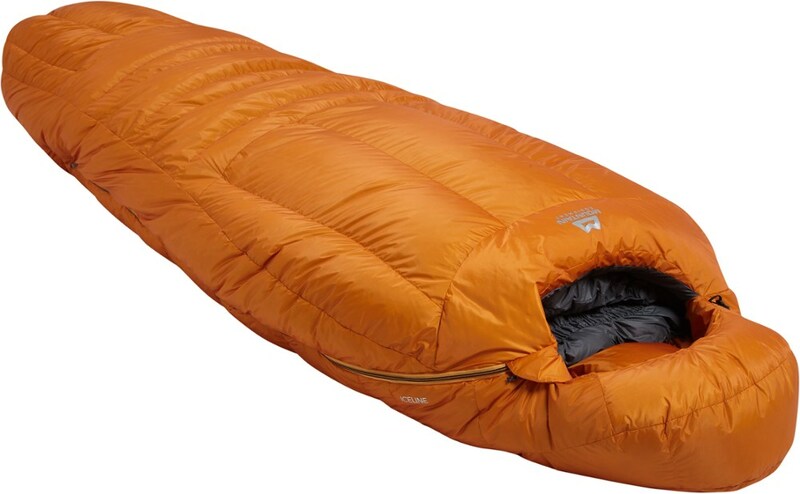 I refuse to buy a sleeping bag from any other company. I have owned this FF Tern with a Dryloft shell and 2 oz. of overfill and 775 fill down since 1996. Even my 34" chest size finds the bag a bit snug when I am wearing only thin underwear. Wide shouldered guys may find the narrow shoulder girth too constricting. Because of the small shoulder girth, wearing bulky clothing to lower the temperature rating may not give you the full benefits of the extra clothing because you will just end up compressing the down inside the bag. 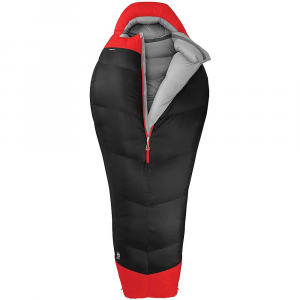 With the Dryloft shell, when I wake up in the morning after a night at 0 degree weather, the down just underneath the shell feels damp to the touch. Don't know how a microfiber or plain nylon shell without Dryloft would fare in the breathability and condensation department at the same temperature. The coldest I ever slept in in this bag was around 0 degree F and I felt just okay, not warm nor cold, but just a bit cool in the chest and belly areas. I do not characterize myself as a cold sleeper, but I am 41 years old and my metabolic rate is probably not what it once was when I was 25 or 30, so maybe this explains why I didn't feel toasty warm inside this bag when it was only 0 degree outside, when the bag is rated at -10F. With the 775 fill option and 2 oz overfill, the temp rating would actually have been closer to -15F. I did feel on several occasions that the draft tube was not entirely effective along its entire length. A couple of spots near the knee let in cold air. I had to touch up a couple of places along the draft tube in the middle of the night to seal the tube tight, but I still slept cool after the adjustments. One thing I truly detest with this FF Tern is the snag-prone zipper. Sometimes I work up a sweat trying to untangle a snag. In comparison, zippers on Western Mountaineering bags are a pleasure, truly one-hand operation zippers, with no snag whatsoever. I haven't slept in a Western Mountaineering bag on a trip and so can't comment on the respective temperature ratings between FF and WM. I am of the opinion, perhaps unfounded, that WM bags are slightly more conservative, but construction wise, they are about equal. FF has tuck switch, which I take to be a sign of higher quality. The draft collar on this FF Tern bags is also very substantial, maybe more substantial than WM bags of the same temperature rating. 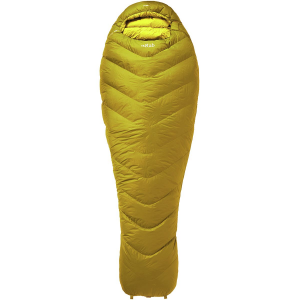 If I had to buy a bag again at this temperature rating I probably would gravitate toward a Western Mountaineering bag for one reason and one reason only: Western Mountaineering's snag-free draft tube and zipper design. Other than this difference, I think both companies make equally superb bags. Great for alpine climbing. Slept at -20 in exp undies and never felt the cold. The vbl breathing area should be on ever bag. Compacts to nothing and the weight is ok. The Tern has been discontinued. The Feathered Friends Tern is not available from the stores we monitor.